Jaco beach penthouse,this condo is uniquely situated on the beach to face the sunset, with spectacular ocean views out almost every window. 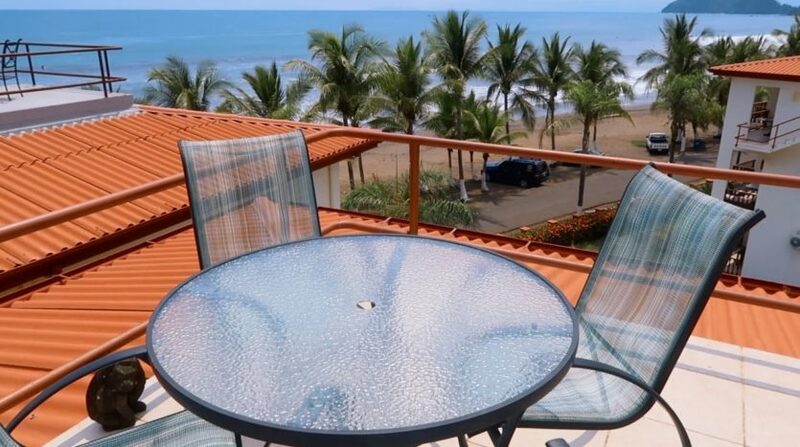 This BAHIA AZUL 3 bedroom, 2 bath residence WAS FEATURED ON HGTV’S Beach Front Bargain Hunt. 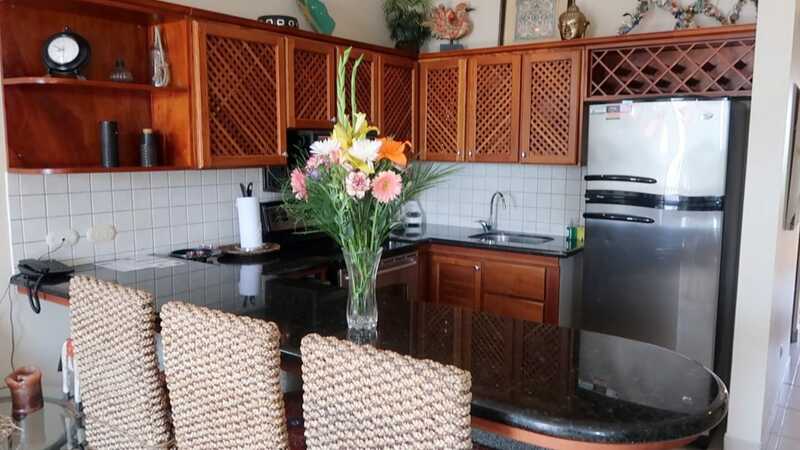 Very well appointed with great furniture, flatscreen TVs, and nice accessories, the condo feels like home on the Pacific ocean. 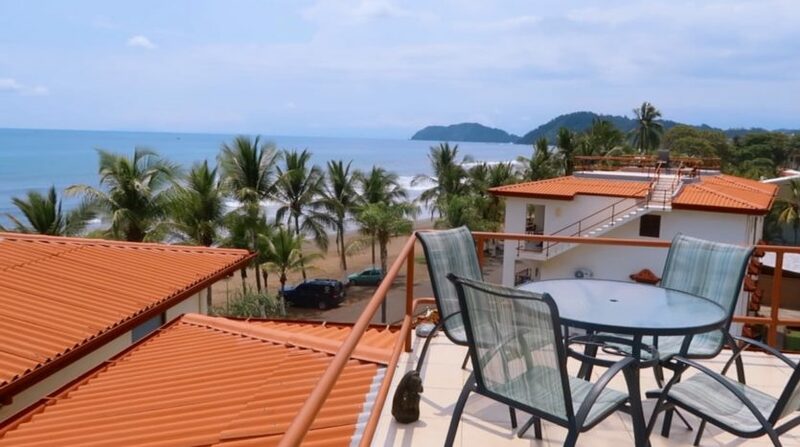 Step out onto the sand, or head upstairs to your own, private rooftop terrace with an amazing view of the entire beach. 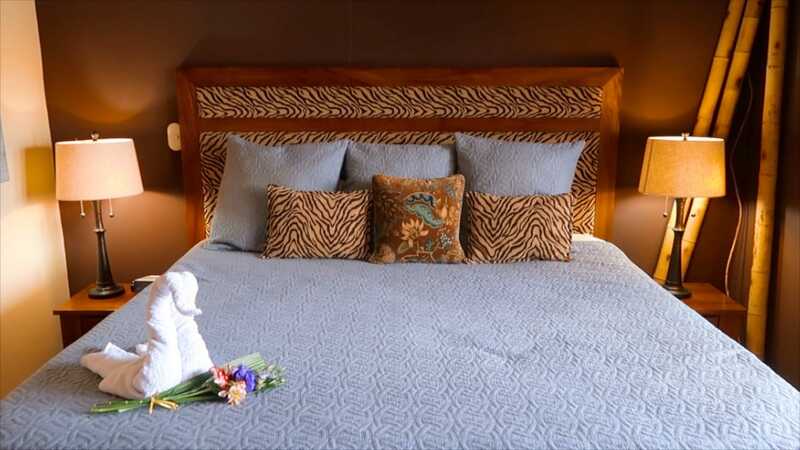 The master bedroom features a king bed with on suite bathroom that has dual vanities. 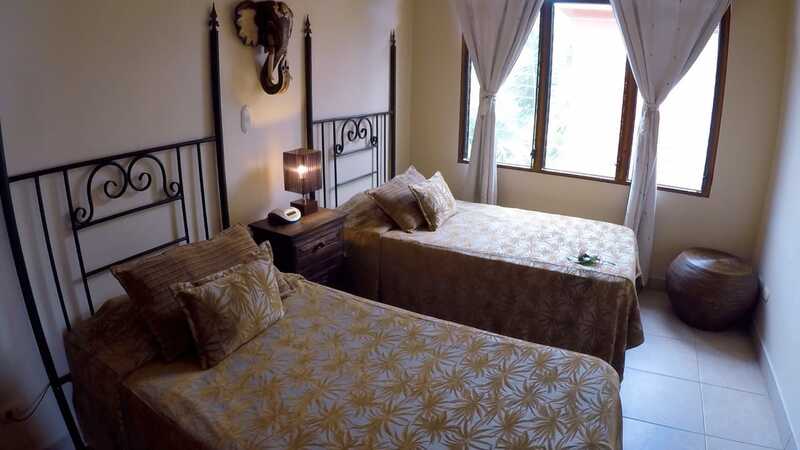 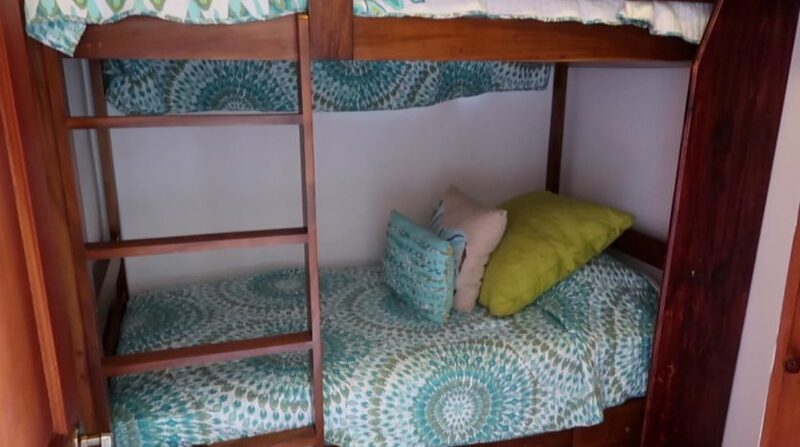 The second bedroom hosts two twin beds and the third bedroom has bunk beds. 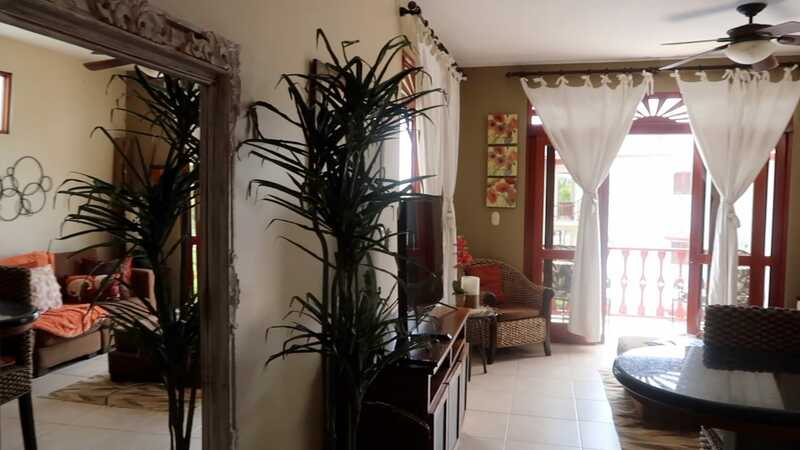 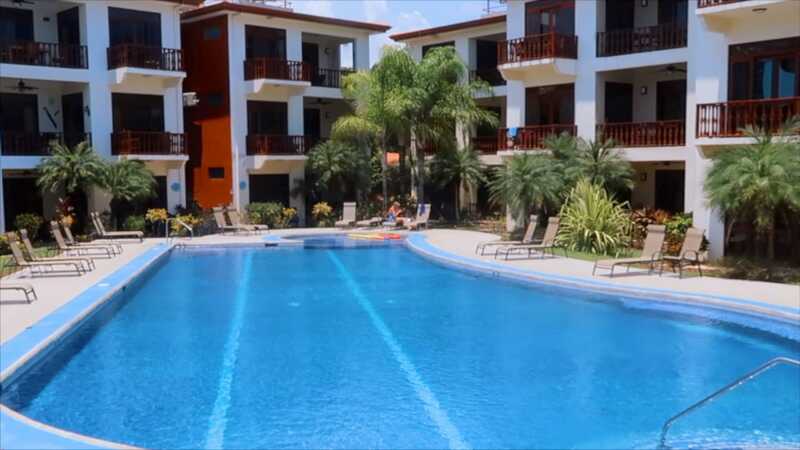 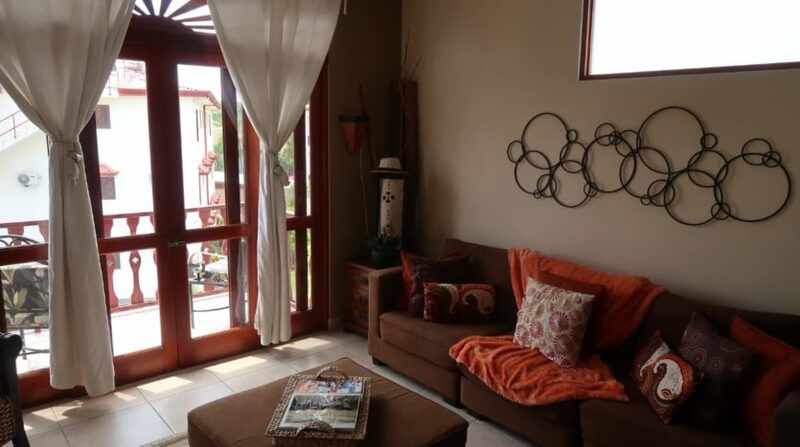 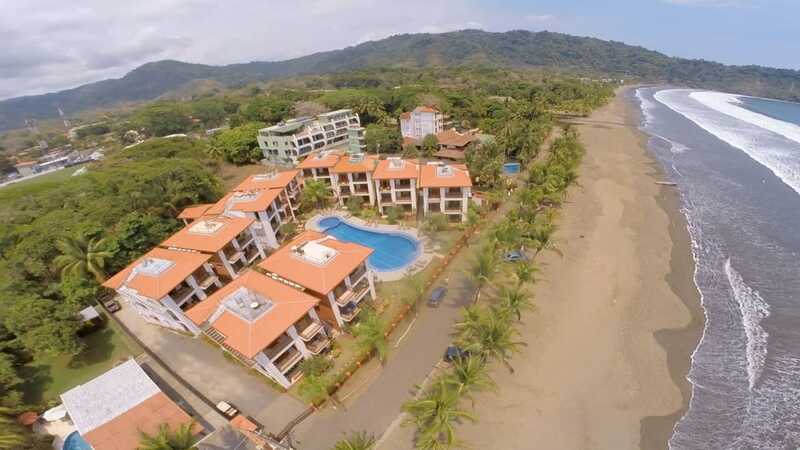 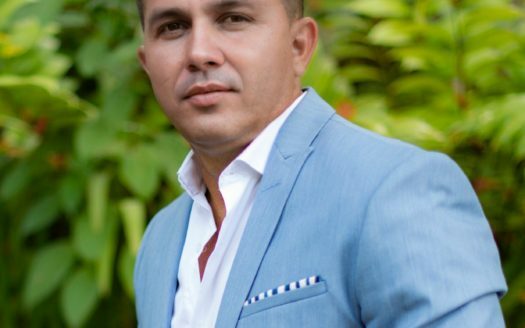 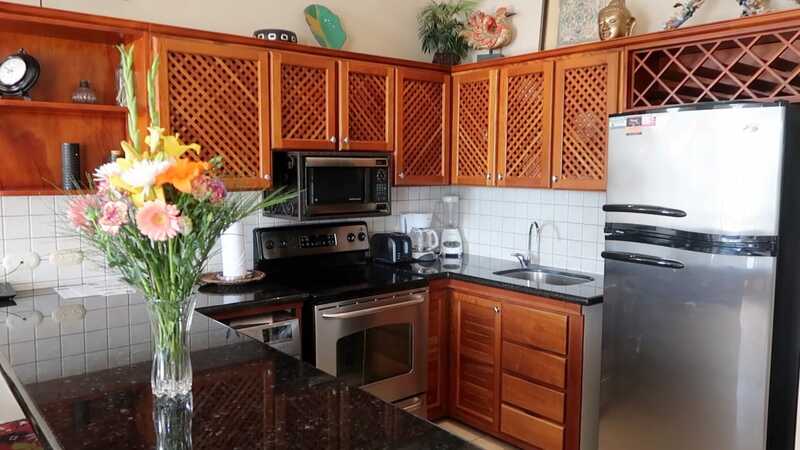 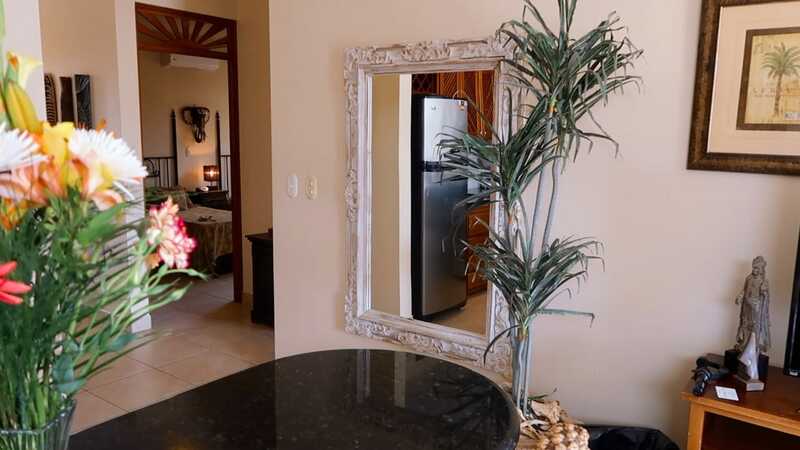 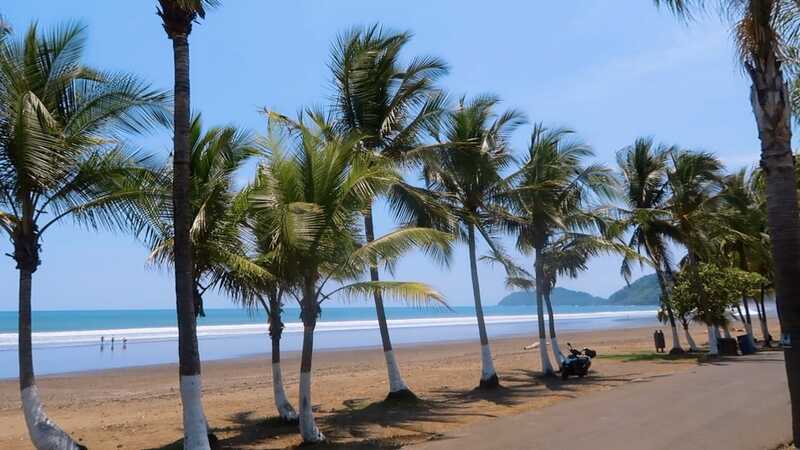 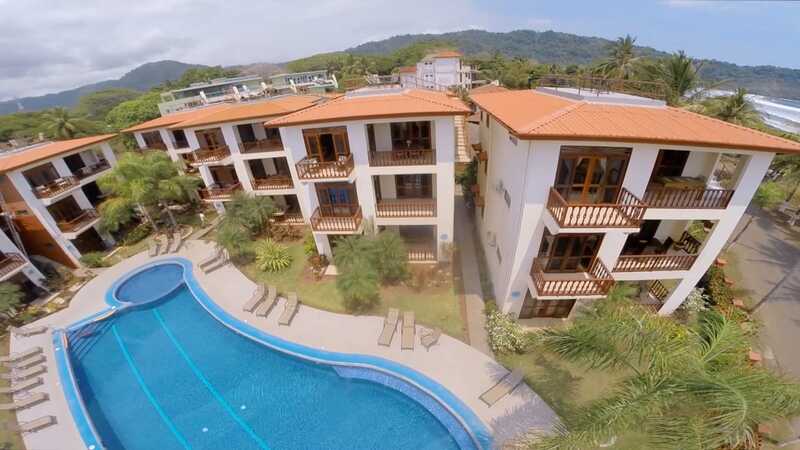 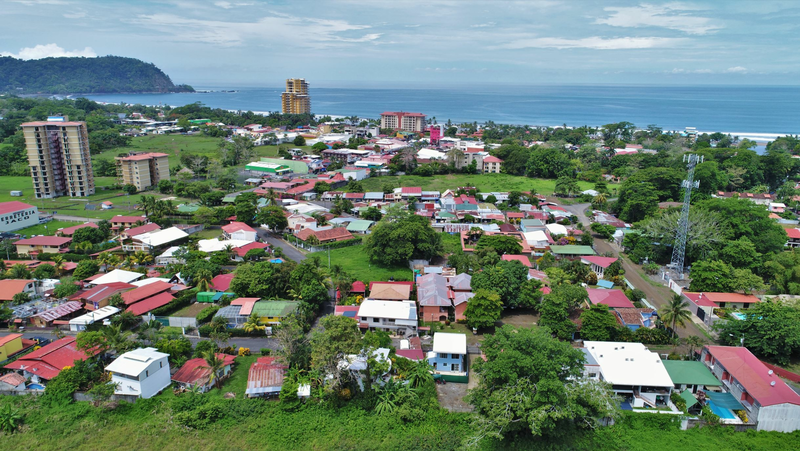 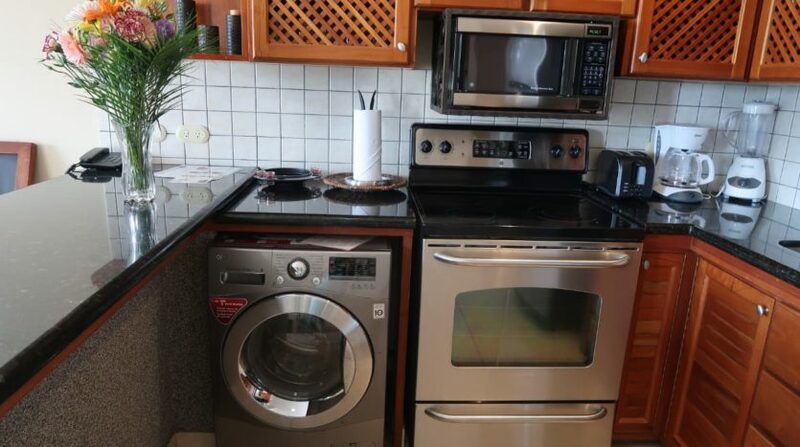 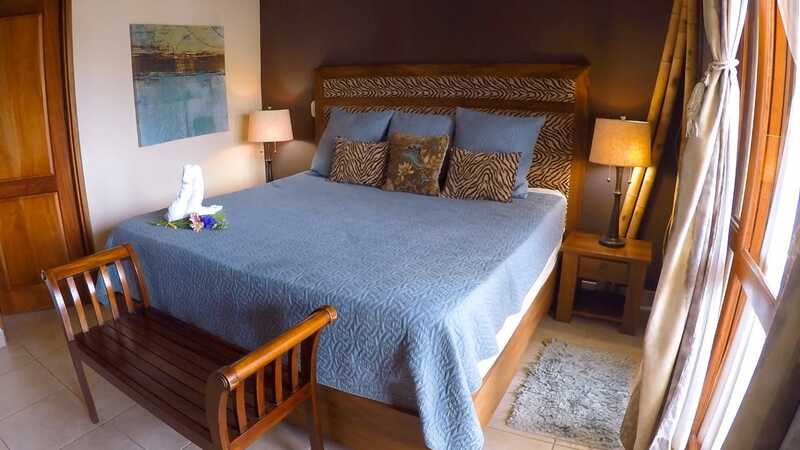 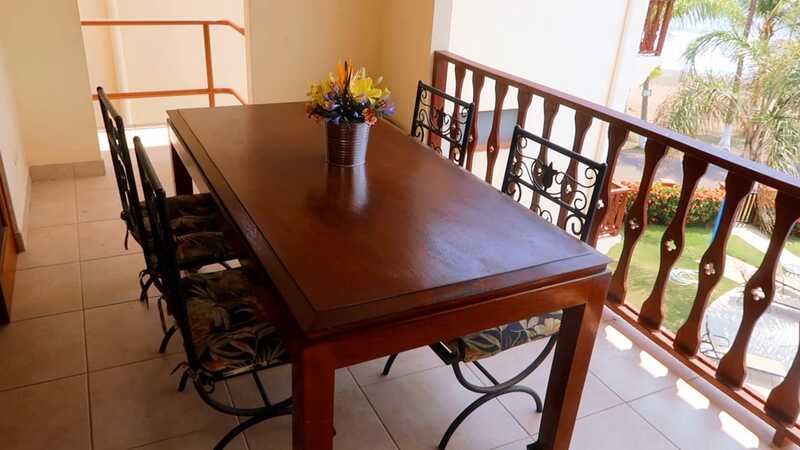 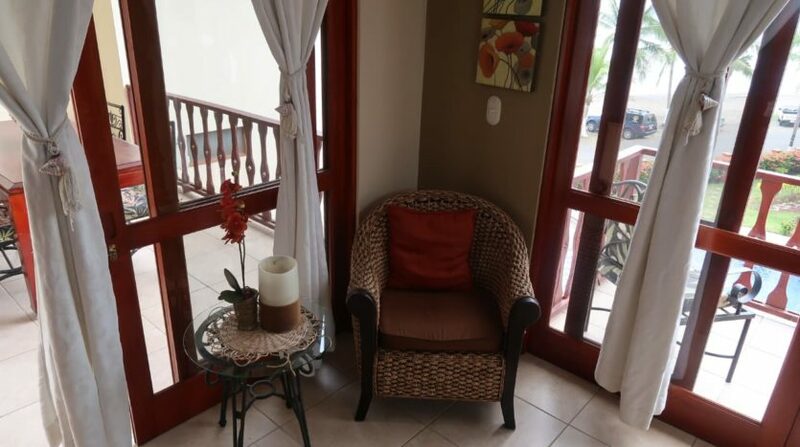 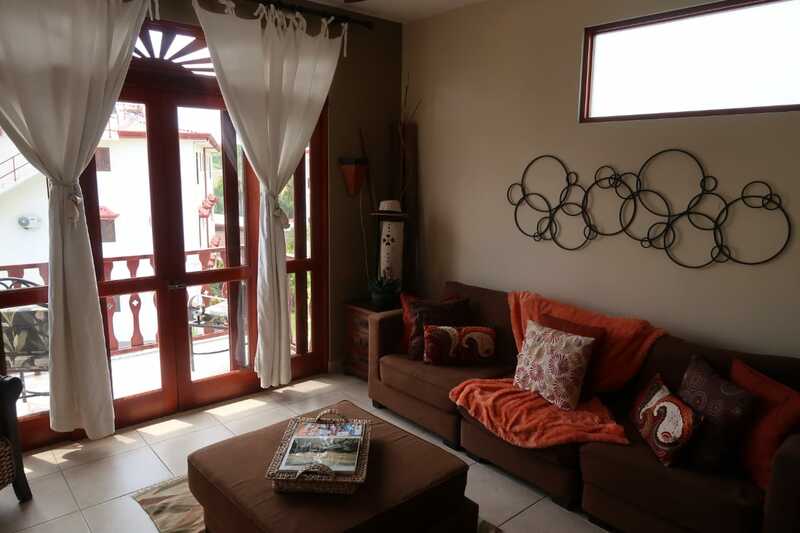 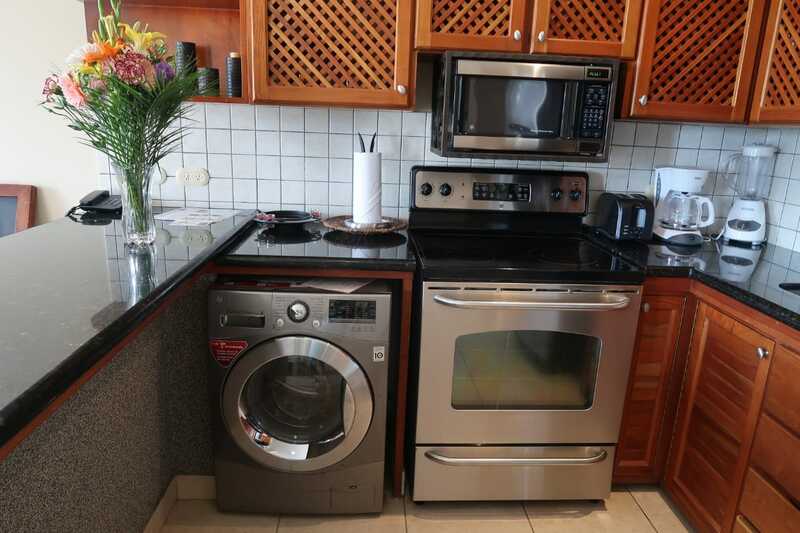 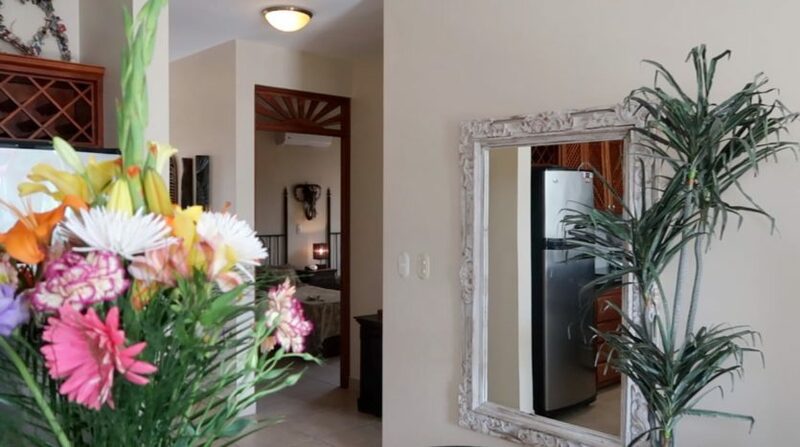 This unit is centrally located in Jaco Beach and right on the sand! 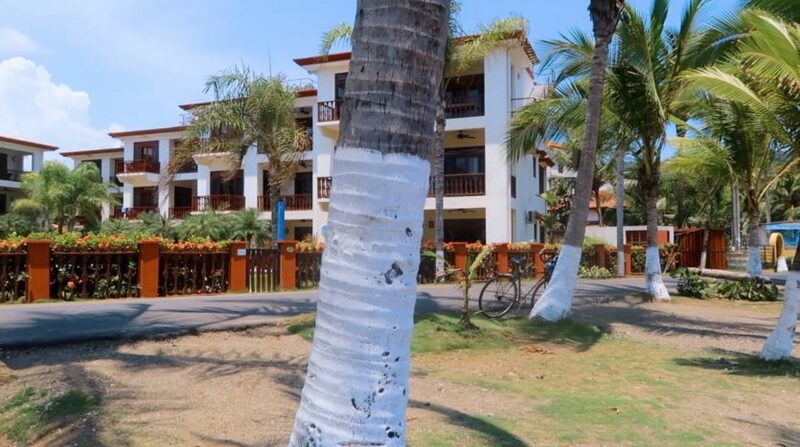 Bahia Azul has a large pool with a fantastic beachfront setting where you can lounge by the pool and watch the waves. 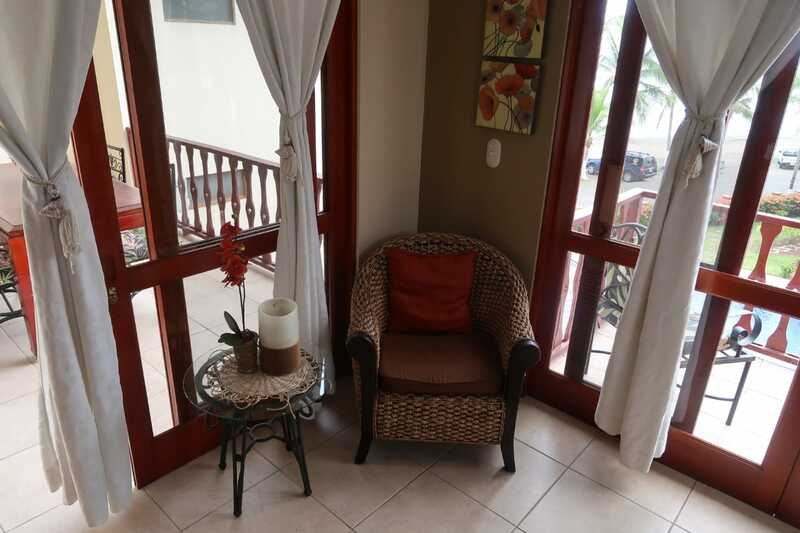 The downtown location means that it is a short walk to the heart of town.